This newsletter is intended to support the work of people who are engaged in developing the careers, vocations, livelihoods, jobs and/or work of other individuals. It is our belief that everyone's work life can and should be molded and crafted to be the expression of our finest gifts and a source of great joy. Towards this end, we hope that the content of these newsletters will support you with both practical tools and inspirational ideas. Welcome to our September 2016 edition! Please pass this on to interested friends and colleagues! Happy September! I hope you enjoyed a beautiful summer and are readying for the colorful pageantry of autumn. I love this time of year and the renewal it inspires. The thrill of standing at the threshold of something new to learn, something fresh to offer, someone new to be, all the result of an unexpected harvest of plans and ideas. I suppose you can take the kid out of school, but you can’t take school out of the kid. As often happens in my work, the inspiration to create new material, whether for a workshop, a curriculum, or even an issue of this newsletter, arrives in subtle and sometimes surprising ways. Last year I had the opportunity to develop a four-part webinar entitled The Resilience Series which has just been made available for on-demand viewing. What I share in the article below is threefold: the event that inspired me to take on such a vital and ambitious theme; what I consider Key Questions at the Heart of Resilience, particularly in the field of Employment and Training; and, the Core Beliefs that, upon reflection, I hold to be true with regard to owning, strengthening, and practicing resilience. May this article inspire your own reflections on this important topic, as we work to bolster and support the resilience in others. We welcome your comments and feedback on this article! Please consider sending us your opinions, perspectives, experiences or related resources on this topic. Unless you specify otherwise, your comments and contact information may be edited/published in a future edition of the True Livelihood Newsletter. 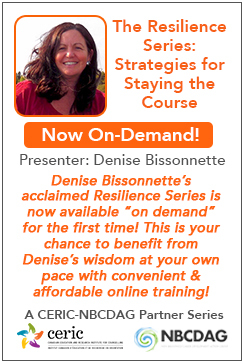 Through our partnership with the Canadian Education and Research Institute for Counselling (CERIC) Denise's four-part webinar series on Resiliance is now available on demand. We expect this online content to be ideal for personal study, in-service training for staff, and/or orientation for new employees. 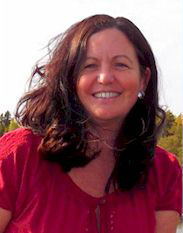 Previous editions of the "True Livelihood Newsletter" are archived on Denise's website. Diversity World "Enriching workplaces and reducing employment barriers."